Daryl Johnson (Worcester Park, United Kingdom) on 27 September 2016 in Transportation. I've photographed this train before, but never realised there was more than one version - there are several JR trains decorated inside and out with the cartoon character Anpanman, who is one of my daughter's favourite cartoon characters. 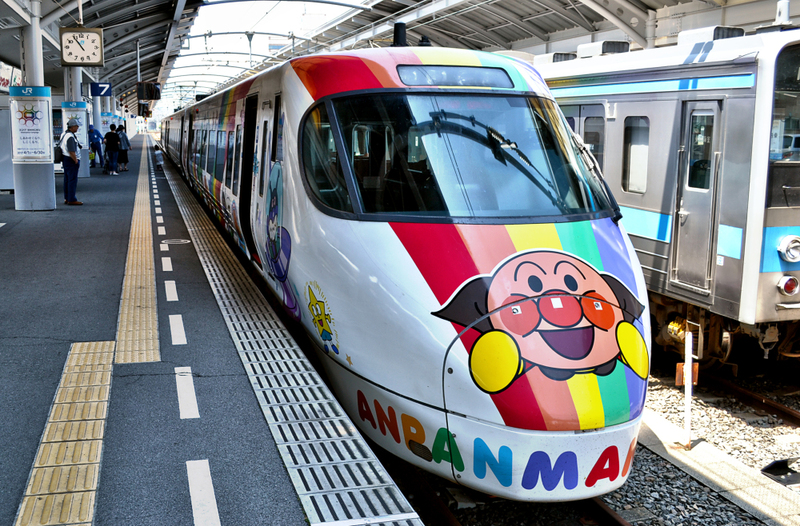 Anpanman's creator was from Shikoku (Kochi city) hence the reason this train runs from Okayama across Shikoku. Très drôle ce train, j'adore.